Dress your son in style with this set. 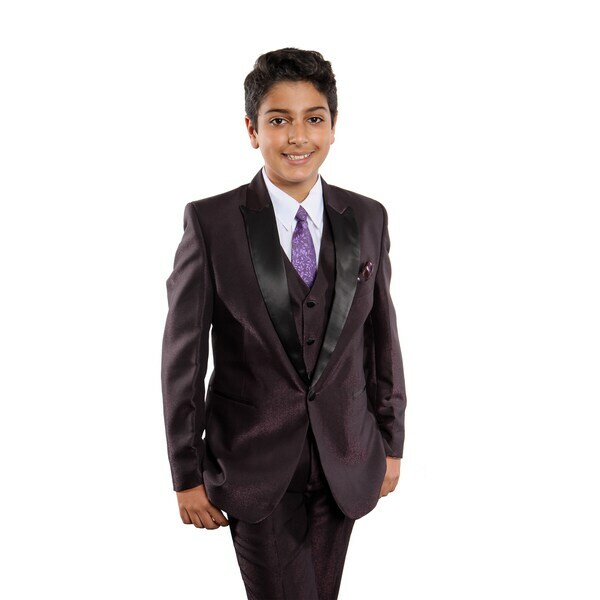 Made from polyester and rayon, this set has a one-button jacket, so it's easy to open and close, and features a satin lapel for added detail. The first time trying on the suit, the pants ripped at the seam and the button was nearly off. I will be able to find someone to make the repairs but am not pleased with the overall quality of this item. "I am 16 year old and my height is 5.4 ft what's size would fit me and my wet is 130 pound. I am considering in size 14-16 plum but I am not sure. "